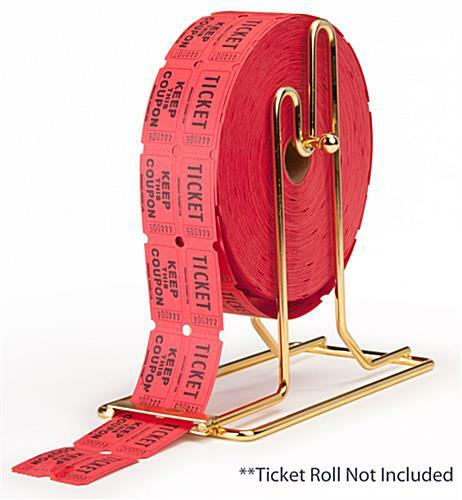 These raffle ticket displays in brass are conducive to upscale events like fundraisers and high-calliber concerts whether for ticketing or hat check purposes. 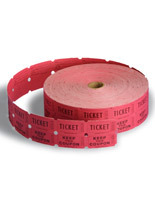 These lottery stands hold double or single rolls, so they are extremely versatile. 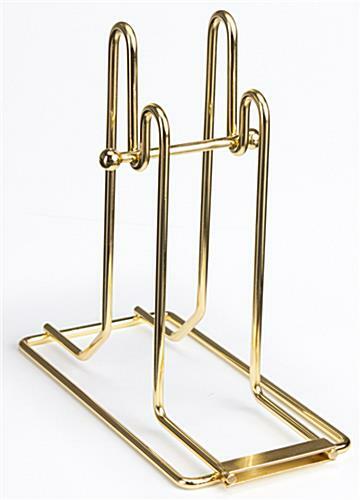 The front slot of these tabletop drawing supplies holders make it a breeze to tear off a stub. 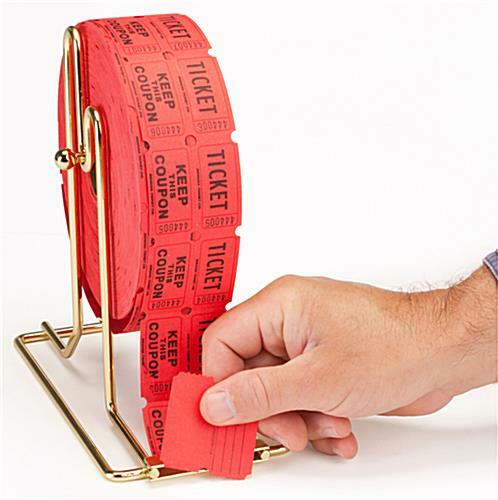 These affordable yet elegant ticket displays, voucher dispensers for raffles, are 8-3/4" tall with a small footprint. The interior spindle is easily removed for quickly installing new voucher dispenser rolls. Displays with metal construction finished in beautiful brass are a great way to drum up enthusiasm about a a cause, whatever it may be. Watch the cash roll in! 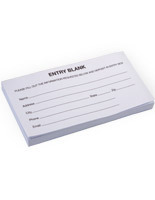 4.3" x 8.8" x 8.9"